Sonya Gabrielian, MD, MPH, is a psychiatrist and health services researcher at UCLA and the VA Greater Los Angeles. She received her MD from the UCSD School of Medicine, her MPH from the UCLA School of Public Health, and completed her residency in psychiatry at UCLA. Following residency, she entered a health services research fellowship at the VA Greater Los Angeles, which she completed in 2013. Dr. Gabrielian has a particular interest in improving care for underserved populations, particularly adults who have experienced homelessness. Gabrielian S, Burns AV, Nanda N, Hellemann GS, Kane V, Young, AS. "Factors Associated With Premature Exits from Supported Housing." Psychiatric Services 2016 Jan 1;67(1):86-93. Montgomery AE, Cusack MC., Blonigen D, Gabrielian S, Marsh L, Fargo JD. "Factors influencing Veterans' access to permanent supportive housing." Psychiatric Services. 2016 Aug 1;67(8):870-877. Gabrielian S, Young AS, Greenberg J, Bromley E. "Social support and housing transitions among homeless adults with serious mental illness and substance use disorders." Psychiatric Rehabilitation Journal. 2016 Aug 22 [Epub ahead of print]. Cusack M, Montgomery AE, Blonigen D, Gabrielian S, Marsh L. "Factors that Influence Returns to Homelessness Following an Exit from Permanent Supportive Housing: Health and Supportive Services Utilization Proximal to Program Exit." Families in Society. 2016; 97(3):221-229. 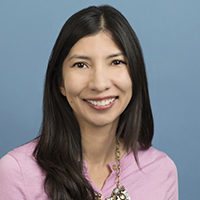 Gabrielian S, Yuan AH, Andersen RM, Gelberg L. "Diagnoses Treated in VA Ambulatory Care for Homeless-Experienced Veterans: Does Supported Housing Matter?" Journal of Primary Care and Community Health. 2016 Oct; 7(4):281-7. Gabrielian S, Chen JC, Minhaj BP, Manchanda R, Altman L, Koosis E, Gelberg L. "Feasibility and Acceptability of a Colocated Homeless-Tailored Primary Care Clinic and Emergency Department." Journal of Primary Care and Community Health. 2017 Mar 1. Simmons MM, Gabrielian S, Byrne T, McCullough MB, Smith JL, Taylor TJ, O'Toole TP, Kane V, Yakovchenko V, McInnes DK, Smelson DA. "A Hybrid III stepped wedge cluster randomized trial testing an implementation strategy to facilitate the use of an evidence-based practice in VA Homeless Primary Care Treatment Programs." Implementation Science. 2017 12:46. Gabrielian S, Hamilton AB, Alexandrino A, Hellemann G, Young AS. "'They're Homeless in a Home:' Retaining Homeless-Experienced Consumers in Supported Housing." Psychological Services. 2017 May;14(2):154-166. Davis JA, Tsui I, Gelberg L, Gabrielian S, Lee ML, Chang ET. "Risk factors for Diabetic Retinopathy Among Homeless Veterans." Psychological Services. 2017 May;14(2):221-228. Montgomery AE, Cusask M, Gabrielian S. "Supporting Veterans' Successful Transitions from Permanent Supportive Housing." Psychiatric Rehabilitation Journal. 2017 Aug 31. Online first publication: http://dx.doi.org/10.1037/prj0000282.